It’s a wonder singer-songwriter Laura Burhenn ever toured as part of Bright Eyes – with her sophomore solo project under the moniker The Mynabirds, she presents a politically charged concept album, discarding much of what made her debut stylistically unique. 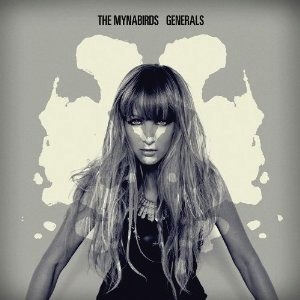 Generals trades slow meditation for pulsing African drums and protest vocals, fueling a sort of pioneer feminist rock. Based on a Richard Avedon photograph: “Generals of the Daughters of the American Revolution,” Generals offers an alternate path for politically disenfranchised individuals – insisting on action, as she questions what true revolutionary women have looked like over the years. Even if politically charged albums aren’t really your style, you may appreciate the intricacies of Generals for its power, resonance, and thoughtfulness.